I like love to do Web Development. I have a passion for web design & development. I love making beautiful websites and user experiences "ex nihilo". I am a web developer with a passion for developing detailed and user friendly websites that are both easy to use and beautiful at the same time. I have a passion for the web and love finding out about new technologies that enhance the user's experience. Each website I build is a custom solution and is focused on the customer's needs. My aim is to develop websites and user experiences that are fully functional, easy to use and compatible to all major browsers. 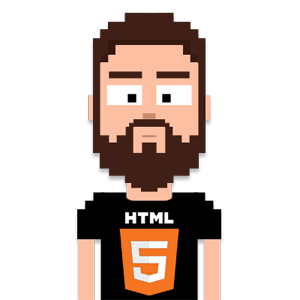 Over the years and after many projects I have acquired much knowledge about web technologies. Nevertheless, I never stop learning and mastering new skills. It has become an exciting and enjoyable process of learning and self-development. I was born and live in Larissa (with some breaks for studies), a city in central Greece. Currently I work full-time at SB Technologies crafting innovative software services. I am passionate about being involved with every aspect of my work. This has motivated me to develop a variety of skills over the course of my career. I work with local & national clients, providing elegant digital solutions. Here's just a small selection of my personal projects.